The Grapple Annual has received a glowing review via Katelin Farnsworth over at The Writers Bloc. Farnsworth describes the inaugural issue as “a fantastic read” and “an excellent new anthology, with a real mix of writers and artists involved”. Even my humble little poems get a mention! You can read the entire review over on The Writers Bloc website. This great review comes hot on the heels of The Grapple Annual’s win in the Express Media Most Innovative New Project Or Work By Young People 2014 award. Talk about a tops week for Grapple! Once again I’d like to congratulate Duncan Felton and his team on putting together such a cool anthology. Be sure to buy a copy of The Grapple Annual over at the Grapple Publishing website. I was pleasantly surprised the other day to find out my poem Jack and Jill has been shortlisted for the 2014 Michael Thwaites Poetry Award. It’s been a while since I have written new poetry, so having this news pop into my inbox, as well as having some poems recently appear in the inaugural issue of The Grapple Annual, I feel like it might be time to pick up my poetry pen once again. 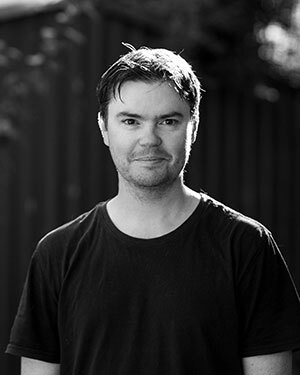 The Michael Thwaites Poetry Award is just one of a number of nods given by the ACT Writers Centre at their annual Writing and Publishing Awards. Other awards include the Marjorie Graber-McInnis Short Story Award and various ACT Publishing Awards. All the winners will be announced at the ACT Writers Centre Christmas Party on Tuesday 16 December. I’ll be there! Grapple Publishing’s new calendar-based anthology, The Grapple Annual, will have its Canberra launch on Friday 28 November at Smith’s Alternative (76 Alinga Street, Canberra) from 6pm. I have three new poems included in the anthology, along with a bunch of other talented new and emerging writers. The evening will include words from Eleanor Malbon, Andrew Galan, Raphael Kabo, Monica Carroll, as well as music from Hannah Blackburn and Paul Heslin. If you’re in Canberra you should definitely come check it out. Details can be found on the launches’ Facebook event page. The first issue of The Grapple Annual is out now, and I have three new poems tucked inside! Published by Canberra local, Grapple Publishing (founded by the book-smart Duncan Felton), The Grapple Annual No. 1 was officially launched at the National Young Writers Festival in Newcastle, in early October 2014. The anthology is a cleverly calendar-based collection, with each short story, poem or artwork coinciding with a specific day of the year. Number 1 has over 30 contributors from new, emerging and established writers including Irma Gold, Yolande Norris, Andrew Galan, and Charlotte Clutterbuck. The Grapple Annual is big, bold, and does exactly what it’s intended to do: grab hold and not let go. Big congrats to Duncan and the Grapple team for putting together such a terrific publication. So pleased to be part of what I hope will be a long, ongoing series. Get your copy of The Grapple Annual No. 1 from Grapple’s online shop.